Selected Villas for rent near Goyambokka Beach (Sri Lanka) - Contact us now! Venture to Goyambokka Beach, and you will discover a beach paradise containing a fine stretch of golden sand and towering palm trees. 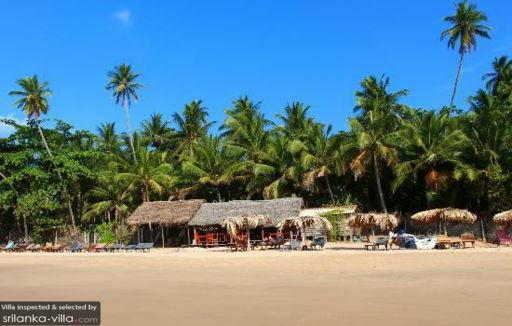 The beach is relatively secluded, and retains a relaxing vibe despite attracting a fair number of visitors. Eateries and cafes are dotted along the sandy coast, making it convenient for beach-goers to grab a quick bite or meal throughout the day.